Not far away from where we live is an amusement park with a varied selection of roller coasters to satisfy my cravings for high-speed thrills. My husband loves roller coasters even more than I do! Needless to say, we’ve been anticipating the day when both kids were tall enough to meet the minimum height requirement for the entire park’s selection of rides. That happened this summer. Excited to ride the park’s recent monstrous addition, we set off for a day of fast dropping thrills and high speed turns. My daughter rode her first adult-size coaster, a wood-frame park classic, and declared that experience was her last. There was No! Way! we were ever getting her on another roller coaster again. My daughter was being so STUBBORN. She REFUSED to try the big roller coasters, preferring the more bland rides the rest of the family consider boring. So frustrating!! 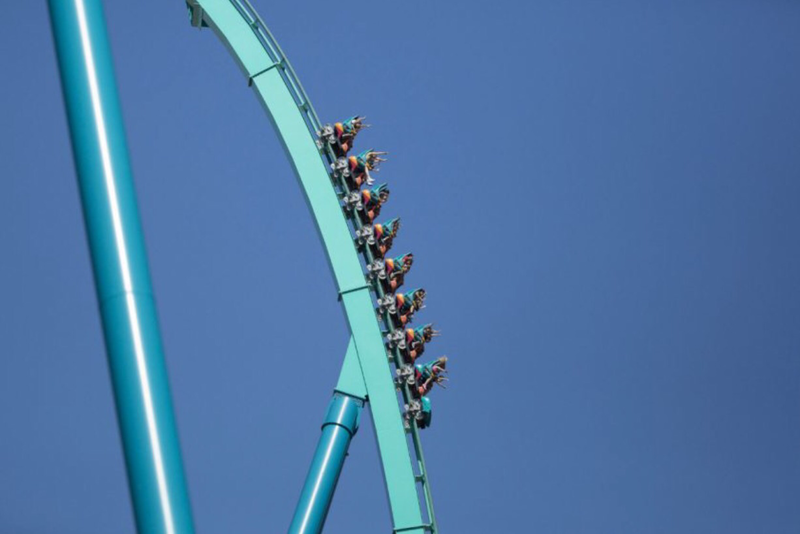 How do I get my daughter to try the big roller coasters? I just know she’ll love them as much as I do – if she would just try them. Refused is a word that suggests she has dug in her heels in protest, which requires an equally strong source of external insistence. It is my daughter’s choice – not mine – to ride a roller coaster or not. She’s old enough to understand she’s safe in the periphery vision of park staff while she waits for us at the exit. This option provides her with “an out,” an alternative to the scary situation she doesn’t want to endure. The same is true about providing food that is manageable and enough to fill up on in the presence of the unfamiliar food offered. The moment we respect a child’s right to say, “No,” the child’s need to refuse – ends. For whom? Sure, it’s frustrating when a parent cannot make their child compliant, but is following every command obediently what we really hope for our children? Behaviour is communication – children who appear to behave poorly tend to lack the skills needed to argue their point of view effectively with adults. While parents experience frustration when children refuse to comply with parental demands, it is equally frustrating for a child who doesn’t have the ability to make their fears and needs understood to the adults they trust most. Rephrased, how do I get my child to do something that she doesn’t enjoy, finds terrifying, and really doesn’t want to do? The same way you would coerce an adult. We aren’t talking about medicine or a medical procedure. It’s a roller coaster- the odds that my daughter will eventually enjoy roller coasters is greater if I don’t traumatize her by getting her to ride them now. The same logic applies with all the food parents would like to see their children eating. Patience and empathy are more effective tools than force. How do I know this? What magical future-seeing skill allows me the ability to predict what sensations my daughter will enjoy? Just because I love something doesn’t mean all people do. If my daughter never loves roller coasters, I’m still going to love my daughter. It means she’ll enjoy different rides at the park. There’s no shortage of alternative options for her to enjoy. If my son never loves steak or salad, I’m still going to love my son. There’s no shortage of nutrition in the foods he does enjoy eating. My husband and I decided to respect our daughter’s choice to choose to ride or not. We joined her on rides she found appealing, and she waited for our return on rides she didn’t feel ready for. Eventually, she decided on her own to try two roller coasters and discovered she really does enjoy them. She’s cautious now, and that’s okay. When the park opens again next year, she can decide what, if any, new thrilling experiences she wants to try.